WASHINGTON, Feb. 4 (UPI) — Bolstered by a 2019 yearly threat assessment from the director of national intelligence that warned of the risk posed by Turkey’s fraying relationship with the United States, senators have urged action to prevent a deeper strain with the NATO ally.Yet Congress and President Donald Trump are largely split on how to approach U.S. support for Kurdish militias in northern Syria, a point of contention between the United States and Turkey in light of Trump’s December announcement that he planned to withdraw U.S. forces from the country. It is uncertain how Trump will approach Turkey, a historic ally that has grown friendlier with Russian President Vladimir Putin in recent years. The relationship between the Russia and Turkey is an important backdrop to the DNI’s statements on the state of U.S.-Turkish relations, according to Bulent Aliriza, director of the Turkey Project at the Center for Strategic and International Studies. 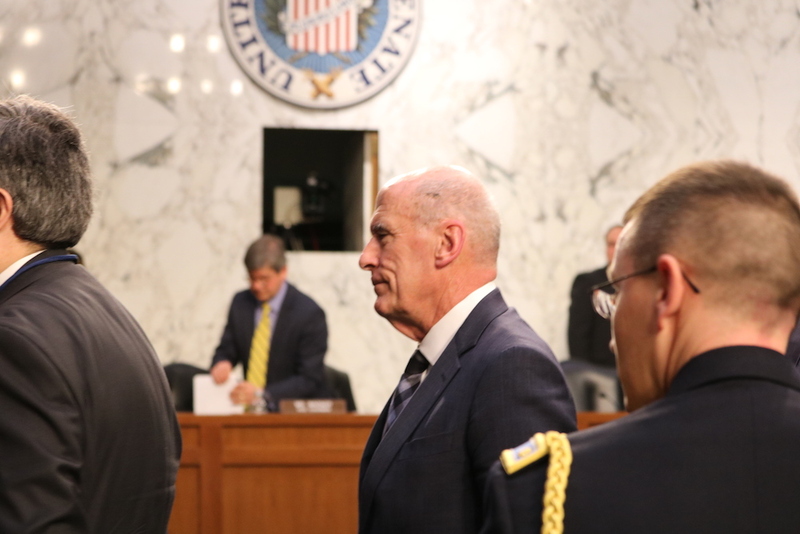 DNI Dan Coats told the Senate Select Committee on Intelligence on Tuesday that the longstanding alliance with the United States will be “important but not decisive” for Turkish President Recep Tayyip Erdogan. Although last year’s DNI threat assessment raised concerns about Erdogan’s “polarizing rhetoric” and its effect on bilateral relations, the 2019 threat assessment is a notable departure for the intelligence community toward a NATO ally. “For many, many years, they were moving in a direction that was more consistent with most of our NATO partners and now they’re moving in a different direction,” said Sen. Thom Tillis, R-N.C., who helped negotiate the release of North Carolina pastor Andrew Brunson from a Turkish prison last year. “I believe that they’ve got to get on a positive path or it could spell difficulty for us,” Tillis said. The U.S. military’s support for Kurdish militias in northern Syria has wrought tensions between Turkey and the United States in recent years. Turkey considers armed Kurdish forces a terrorist threat along its borders, and has attacked and continues to threaten attacks against U.S.-backed Kurdish forces. Continued U.S. support for the Kurds has faced further complications, and conflicting messages, in the past week. Speaking on the Senate floor, Majority Leader Mitch McConnell, R-Ky., cautioned against U.S. withdrawal from Syria, arguing that maintaining a U.S. military presence in the country would “reassure our local partners who are doing the bulk of the fighting” against terrorist groups like the Islamic State. Meanwhile, a Kurdish delegation met Tuesday with Trump and a bipartisan group of senators, led by Maryland Democratic Sen. Chris Van Hollen. The Kurdish delegation urged the United States to leave behind some troops in northern Syria so as to create a buffer between the Kurds and Turkey, according to Van Hollen. “The Syrian Kurds are understandably very worried about what will happen if the United States leaves altogether because they will become very vulnerable to Turkish attack,” Van Hollen said. Van Hollen, along with Pennsylvania Republican Sen. Pat Toomey, introduced an amendment Tuesday to a Middle East policy bill in the Senate that would require Trump to submit to Congress a strategy for defending the Kurds in northern Syria. The legislation, a collection of four bills that sanction the Syrian government and extend arms sales to Israel and Jordan, has passed multiple procedural hurdles in the Senate but still faces a final vote and approval by the Democratic-run House. The alliance between the United States and Turkey could fracture without a shared fear for the Soviet Union that bonded the two countries during the Cold War, according to Aliriza. “Yesterday was a significant day because the IC [intelligence community], which previously engaged Turkey as an ally in the intelligence and security areas, is ringing the alarm bell on the relationship,” Aliriza said. Further endangering relations is Turkey’s growing alliance with Russian President Vladimir Putin. Turkey signed a deal with Russia to receive an S-400 missile defense system, which has prompted senators to try and prevent Turkey from receiving F-35 jets from the United States should it purchase the Russian missiles. Turkey has received $13.8 billion in military aid from the United States since 1948, and current military aid appropriations are limited to $3 million to $5 million annually, according to the Congressional Research Service. Trump and members of Congress have since offered to sell Turkey the U.S.-built Patriot missile defense system in exchange for Erdogan’s government pledging not to purchase missiles from Russia. Sen. Chris Murphy, D-Conn., who has led past legislative efforts against U.S. support for Saudi Arabia, said that though Turkey is on “a long list of imperfect allies,” the United States should take a nuanced approach to the NATO ally. “There’s got to be a way to raise human rights concerns, figure out our differences on Syria and try to make the relationship more functional,” Murphy said.